Connoisseurs are well acquainted with Dell's Latitude series, which represents the class of solid business notebooks with good expansion options. The Latitude 2100, as a new member of the family, does not quite fit into the established series at first sight. It appears colored, clunky, and heavy from the outside. Our review reveals what can be expected under the hood. 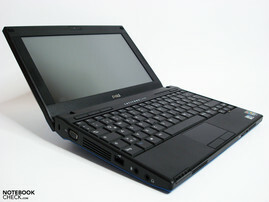 At the moment, prices for the Dell Latitude 2100 in Dell's online shop start at 280 Euros (net). 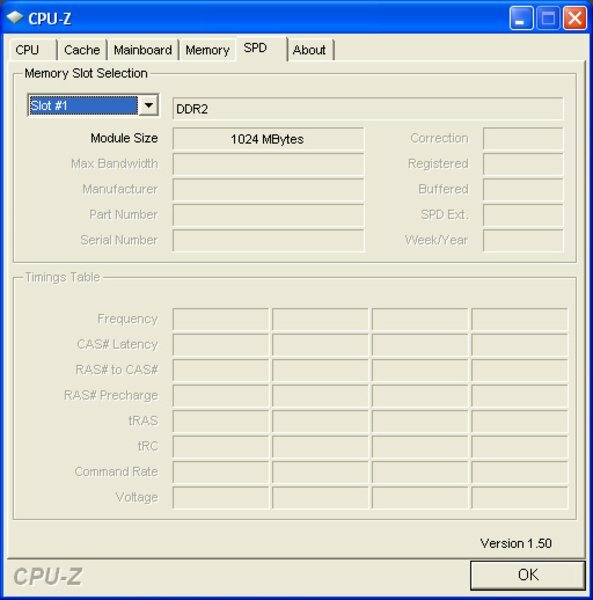 This configuration includes the usual netbook components, such as an Intel N270 CPU, 1 GB system memory, an 80 GB hard disk, a 3-cell battery, and WLAN. Dell pit on Ubuntu-Linux as operating system for this beginner, which is quite unusual by now. 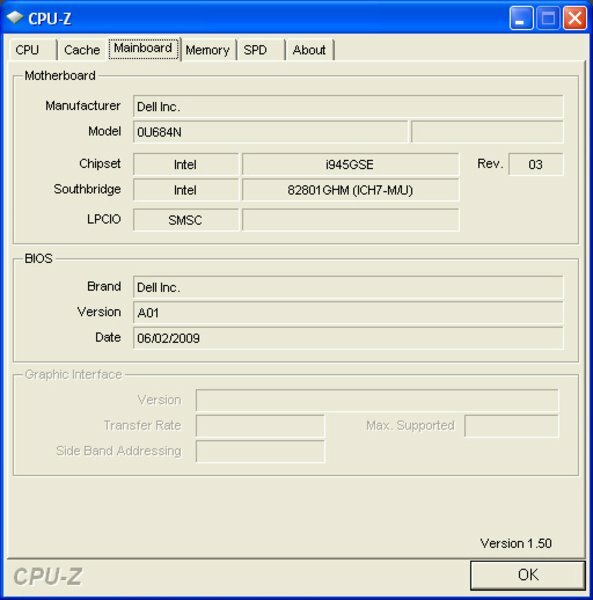 Available options include fancy colored cases, and different additional components, besides the established Windows operating systems. 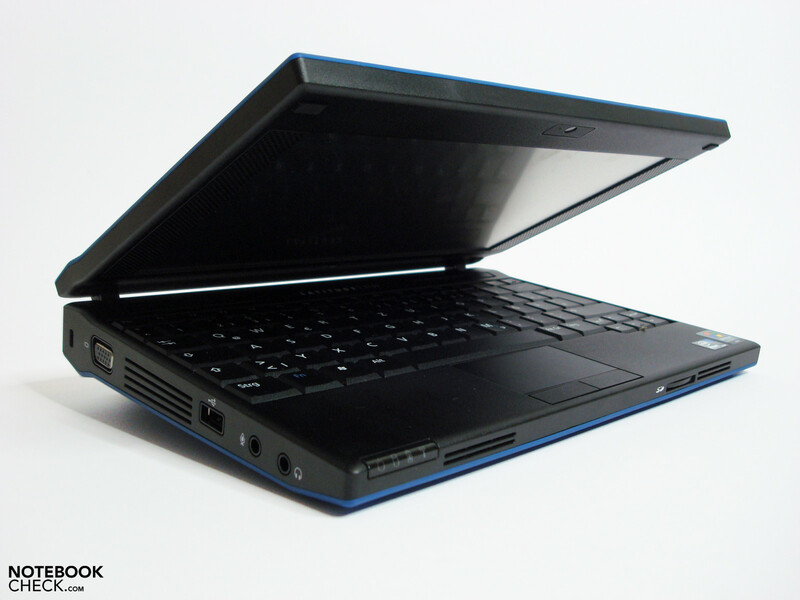 Outstanding details for netbook proportions include the available 250 GB hard disk, 2 GB system memory (both only for systems without XP). The 10.1" touch screen display can be ordered for a surcharge of 15 Euros without a webcam, or for 25 Euros with a webcam (net prices). 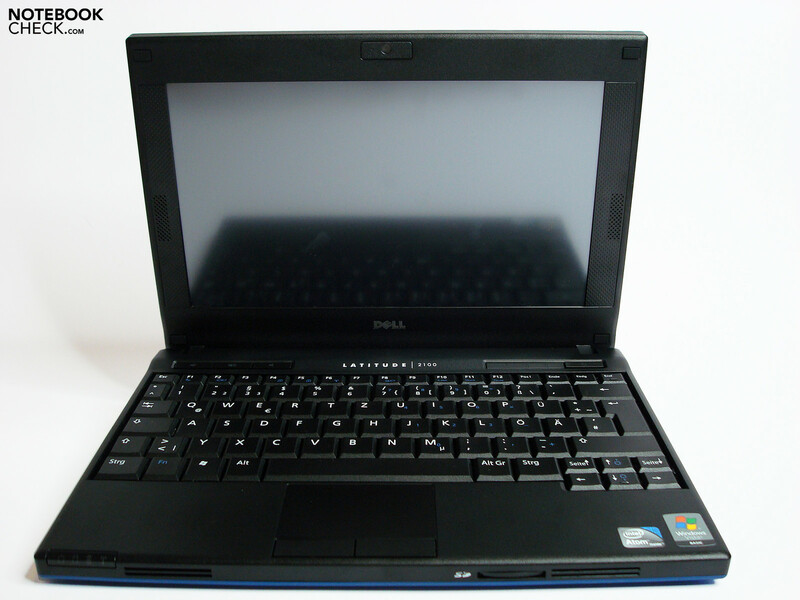 Our test model featured the mentioned WSVGA touch screen with a webcam, Windows XP Professional SP3 (Vista Business was included in the package additionally), 160 GB hard disk, and 1 GB system memory. You end up at about 510 Euros (including shipping and sales tax), depending on additional configuration details and discounts. Contrary to what our test model came with, it is not possible to select Windows XP Professional or Vista Business for the blue model with touch screen in the e-shop. Only Vista Basic and XP Home are listed as operating systems in the online shop. Call for special requests applies here as well. 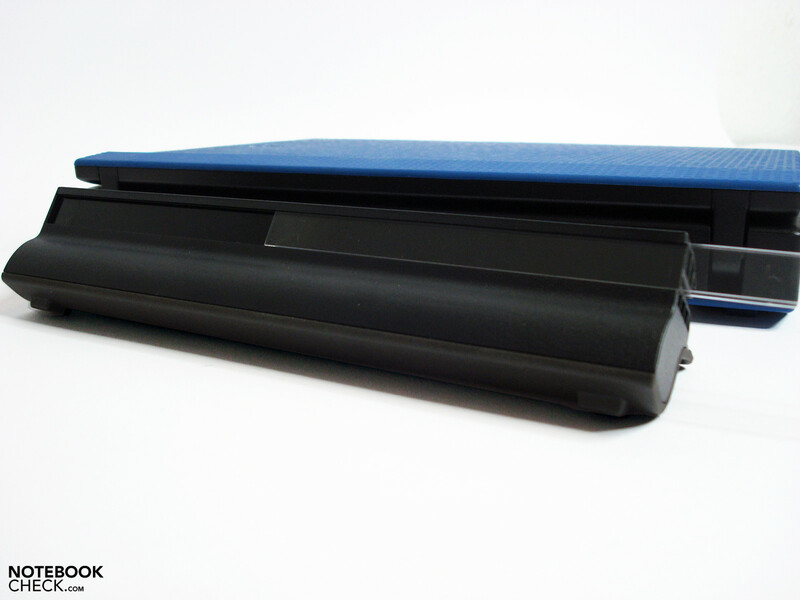 The Latitude 2100 has been designed strictly following functional characteristics, as it has been conceived for the rough deployment in schools. Aspects concerning optical design have been put aside to the second position. One does neither find slimline-looks nor a special lightness on this notebook. The unusually massive case features dimensions of 265 (w) x 187 (d) x 40 (h) mm (for the 3-cell battery version), and even appears almost bulky. 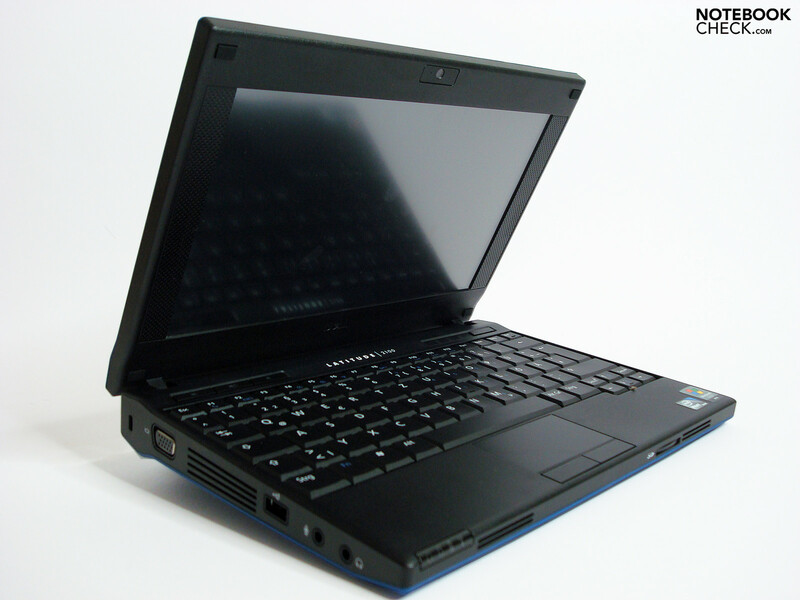 It is found among the large 10.1" netbooks according to these facts as well. Our Latitude furthermore featured the 57 Wh 6-cell battery, which is not flush-mounted with the case and protrudes quite a bit to the bottom. This heightens the case by another 18 mm, to a total of 58 mm, which of course does influence the total weight as a consequence. It is already at 1.32 kg with a 3-cell battery, and increases to a rampant 1.58 kg with a 6-cell battery (as for our test model). 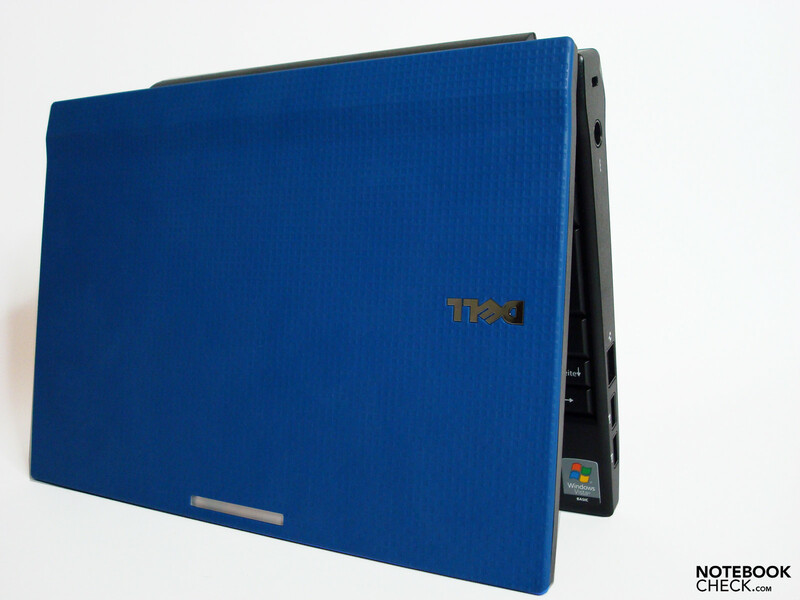 This is a good value, seen absolutely, but it is quite a lot compared to the direct 10"-netbook competition. 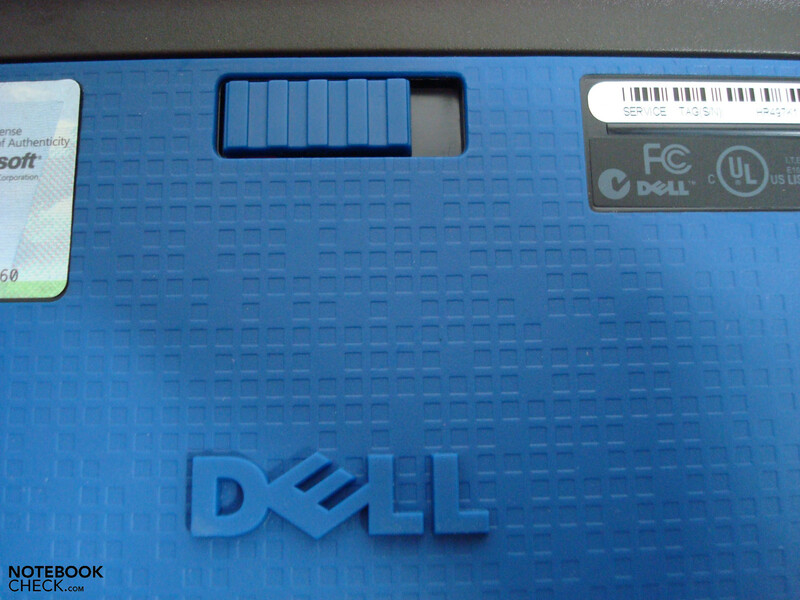 The battery features a transparent strip on the rear side, e.g. for inserting name tags. The solid construction does have advantages as well. Torsional stiffness and robustness are on an especially high level, concerns regarding the case's quality do not come up. The soft, rubber-like outer coating, which is supposed to protect the case from scratches and wear marks, is a special eye-catcher for the colored versions of the model. According to Dell's configuration tool in their online shop, the touch screen is only available with the black version, but our test model shows that other combinations should be available as well. 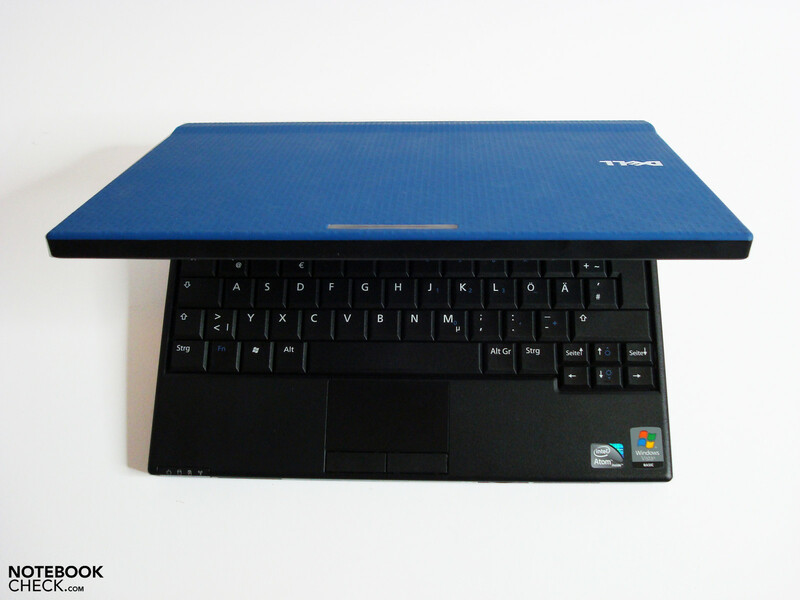 The display is well wrapped up and is kept apart from the keyboard by large rubber cushions when closed. The display lid is resistant to torsion, and is kept well in position by solidly built hinges. You can even only barely detect a seesawing of the display during stronger underground tremor. The hinge-construction, attached to the rear side, does albeit exert negative influence. It limits the maximum opening angle, even more so with a 6-cell battery than with a standard one. Furthermore, the used plastic's compressive strength is not that much of a role model, it can be dented a bit in the area of the palm rest. 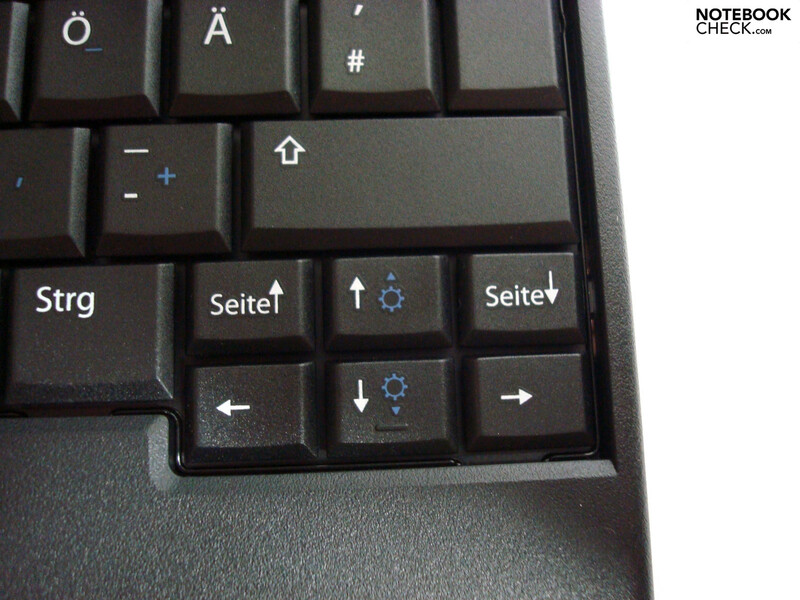 The keyboard could also abut more firmly, it sags a little bit in the area of the space bar when stronger pressure is applied. 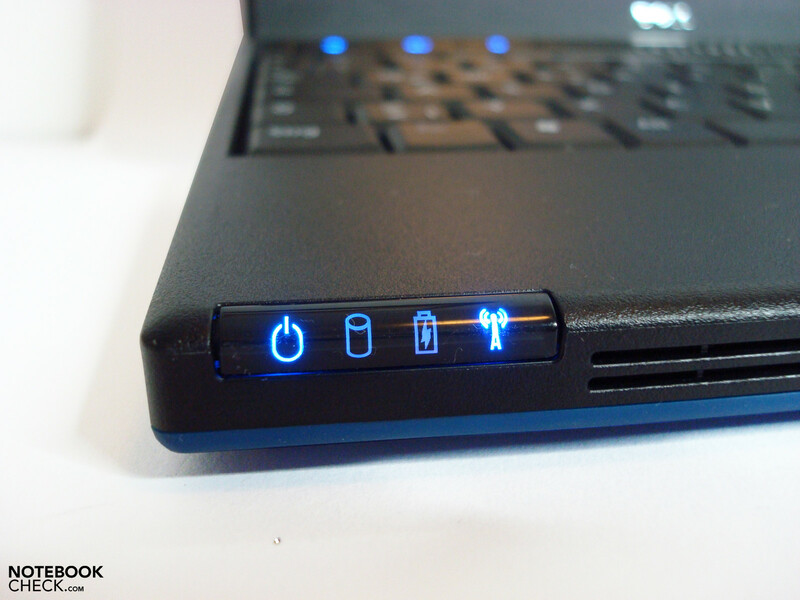 When the netbook is switched on, one immediately notices the garishly shining status-LEDs, which can become somewhat unpleasant in the long run. 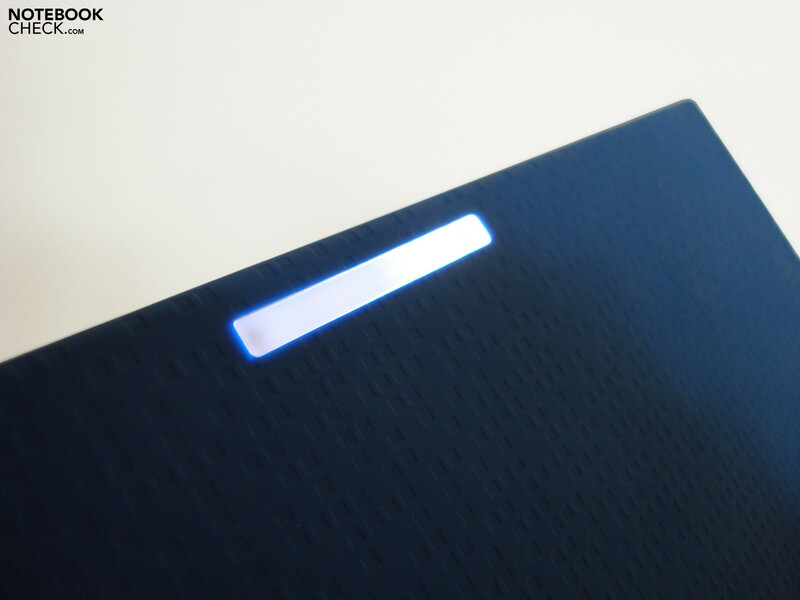 No control function of the blue shining status-LEDs is recognizable, as it is supposed to be supported by the glowing strip attached on the display lid. In any case, the glowing strip is supposed to inform teachers about whether or not WLAN is active. 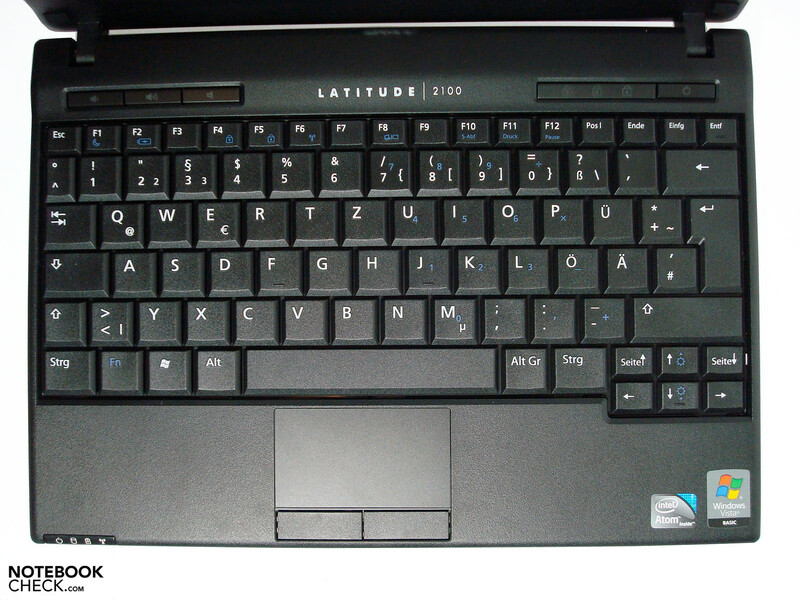 As far as connectivity is concerned, the Latitude 2100 offers everything one is used to in the netbook-class. 3x USB, analog VGA-port, microphone-in, headphones connector, card reader, and LAN-port offer enough possibilities for connecting external devices or exchanging data. These options are amended by the webcam, which is integrated into the display frame, and by the WLAN-module, which can supply wireless connectivity. 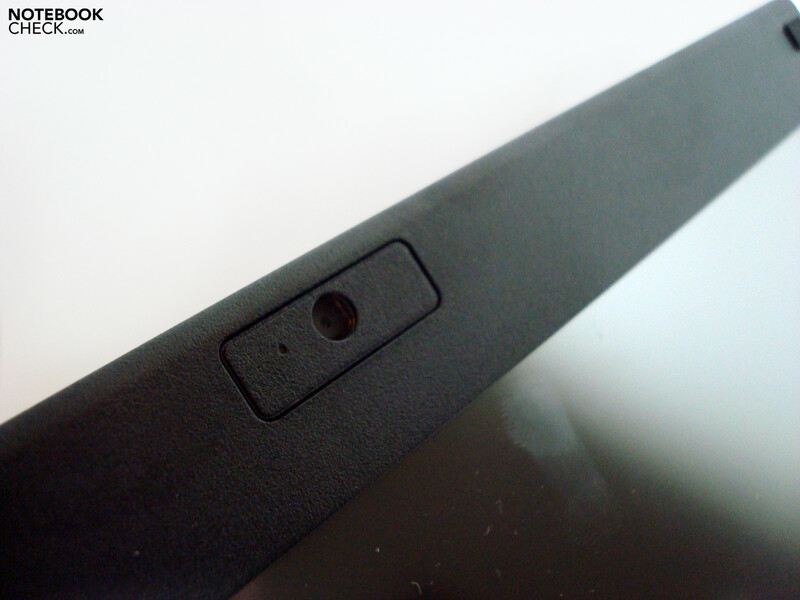 Two loudspeakers, integrated into the display frame, are responsible for sound output. A UMTS-modem is not available, but not necessary either for the targeted consumers. 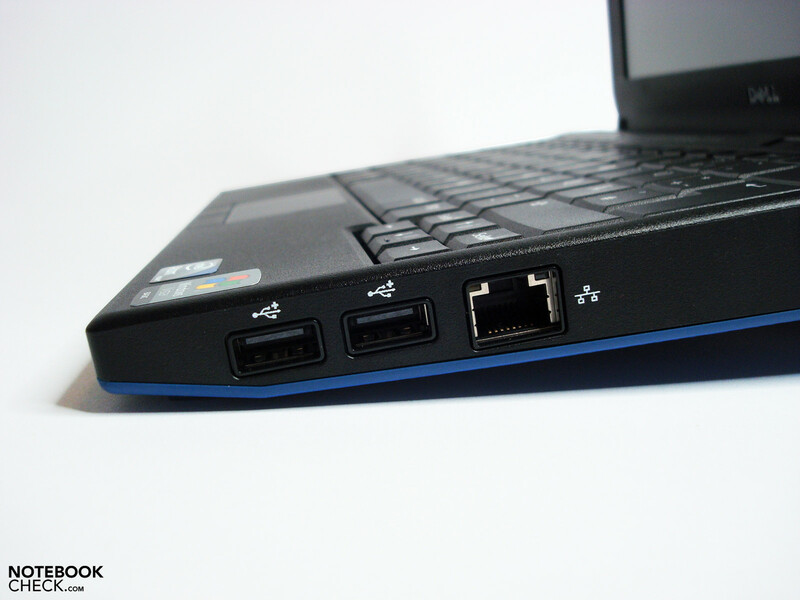 The way the interfaces are arranged it is easy to access the USB ports. However, as they are in the front area of the sides, cables of connected peripherals might be disturbing. The USB-ports allow charging of devices such as MP3-players, cameras, and cell phones. However, contrary to the Samsung N510 is is not possible to use this feature if the notebook is turned off and it cannot be activated in the BIOS either. Also cables connected to the LAN port, which might not be an issue in school networks), might cause limitations. At least VGA-port and power socket are far enough towards the rear. As you'll find two Kensington security slots sternmost at the left and the right, you cannot only connect anti-theft devices, but also mount a carrying handle like the one offered as accessory. Quite handy, the front houses the card reader. There is no easy way of maintaining or upgrading the inner components, probably because this should be done by the school's administrators and not by the pupils. 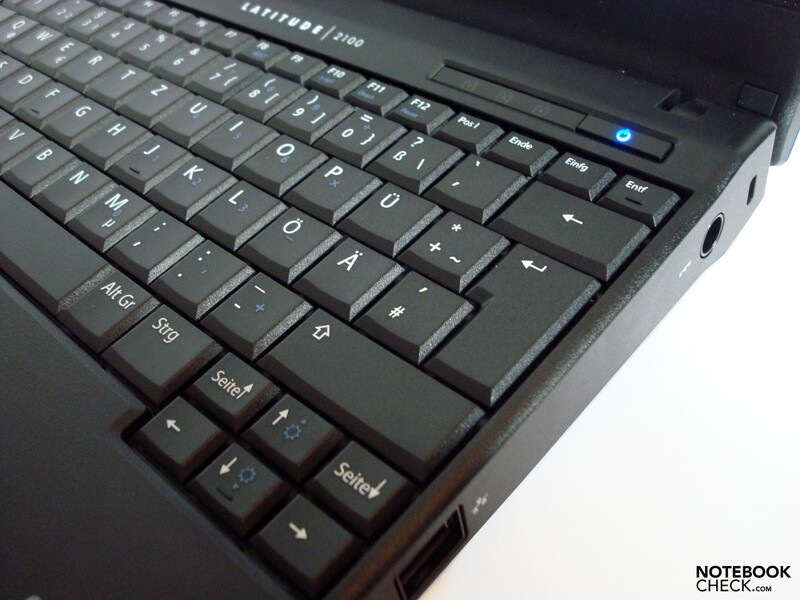 Keyboard and the complete underside cover have to be removed to exchange RAM or hard drive. 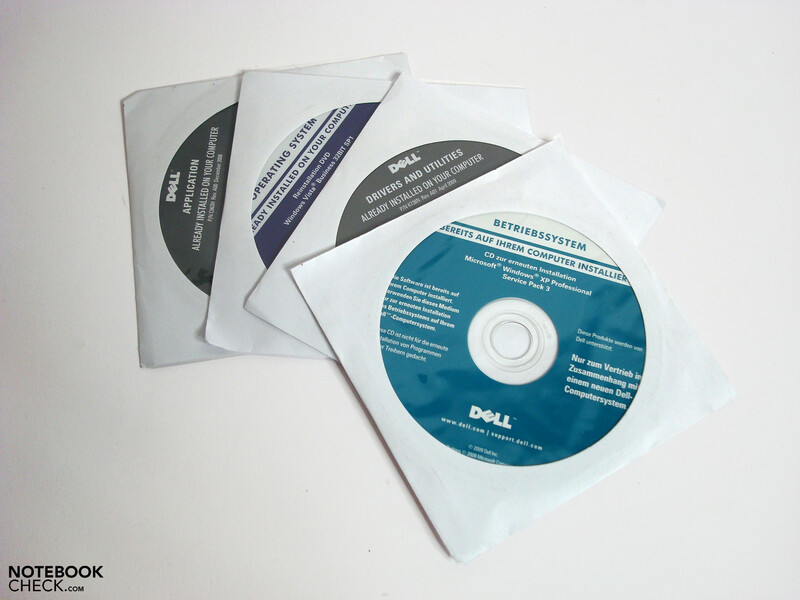 Details are available in Dell's support area. Once opened, you find a second, free slot in models equipped with 1 GB. Moreover, you could replace the hard disk with a model of higher capacity. But wait! Before you do so, it's recommended to check whether there are impacts on the warranty - even more so, if special support and warranty options are added (key accounts, schools). 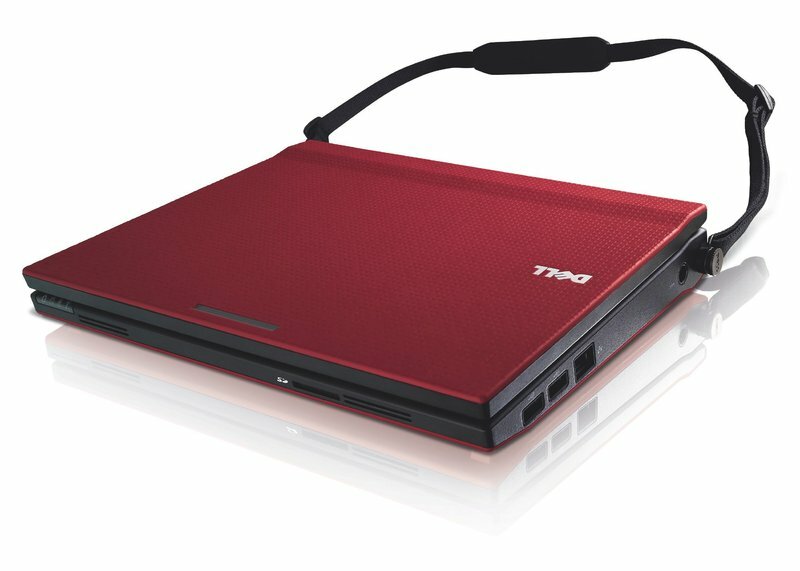 Accessories like the Mobile Computing Station (simultaneous charging and updating of up to 24 Latitude 2100 devices) or the antibacterial keyboard are available in the US only at the moment. The carrying and shoulder straps are not selectable in Dell's online store as well right now. We could not establish a connection between our test model and a Netgear WGR 614 WLAN router, despite active WLAN module and correct settings. There might have been a possible incompatibility between netbook and router chipset. We did not quite understand, why Dell did not include software optimized for touch screen, even more, because input via stylus is not possible. In this regard other manufacturers found superior solutions. 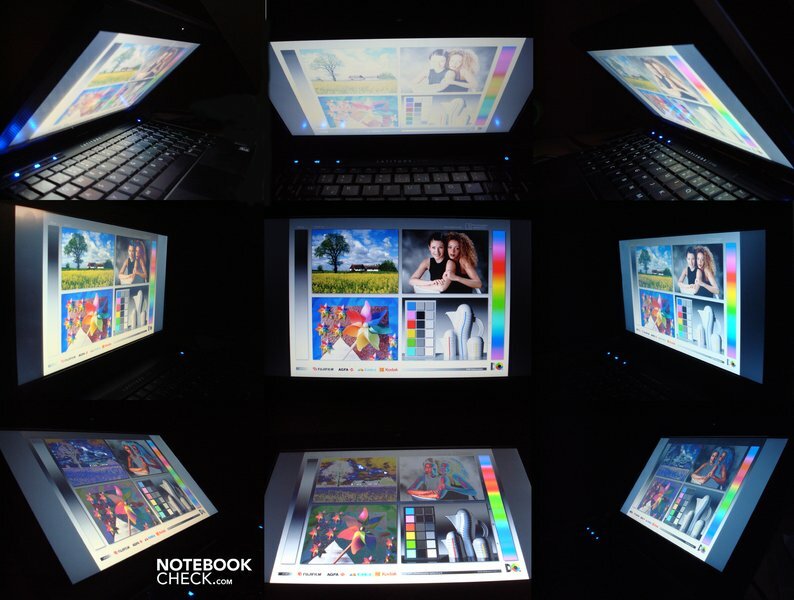 E.g., the Touchsuite of the EeePC T91 from Asus offers touch menus (TouchSuite) for browsing through photo or music collections or handwriting recognition. 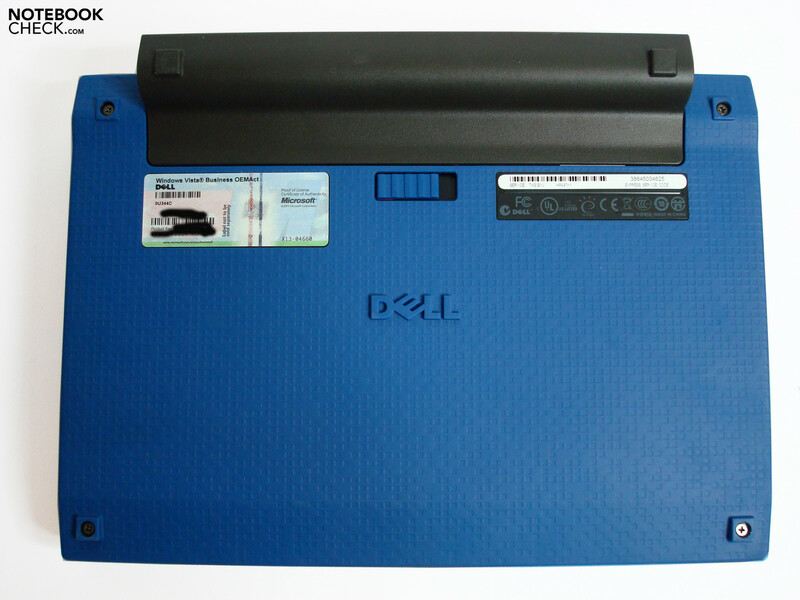 Edit 09/10/15 (information by Dell): According to Dell, the carrying strap, the carrying handle, and the antibacterial keyboard are available in Europe via Dell's sales departments. The keyboard takes up the whole available case width, and thus offers an optimal key size for this class. It offers a standard layout with usual Fn-combinations. 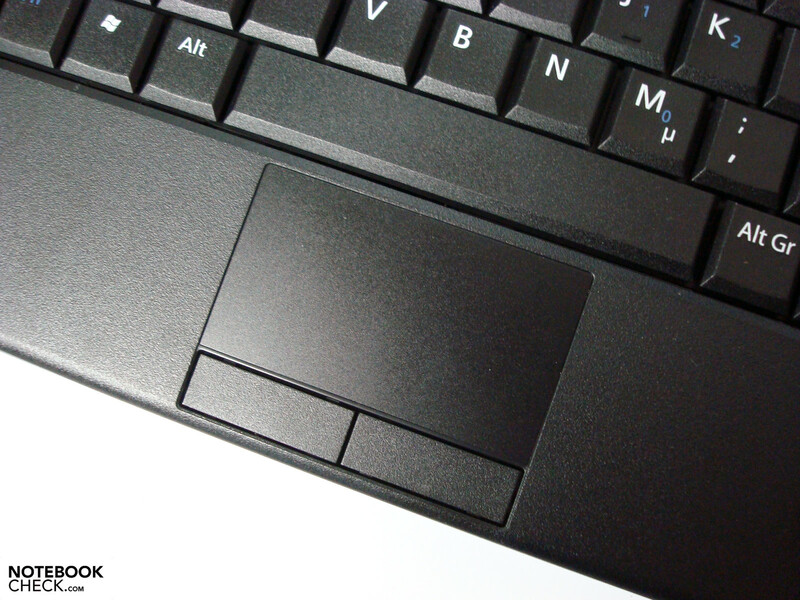 A few millimeters of the arrow key group extend into the palm rest, making conveniently sized arrow keys possible. Due to a medium key travel and a pleasant feedback touch typing is natural and requires hardly any adaption time. While the upper half of the keyboard sits nearly solid as a rock, its lower part, especially the space bar area slightly springs. 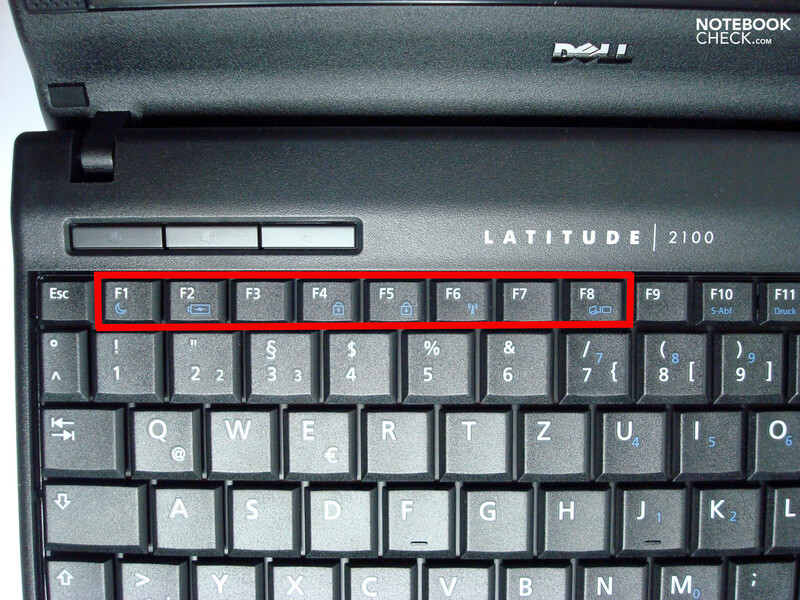 While the key labels are in general contrast rich, this is not true for the labels of the FN-keys. They are barely readable in adverse lighting conditions. 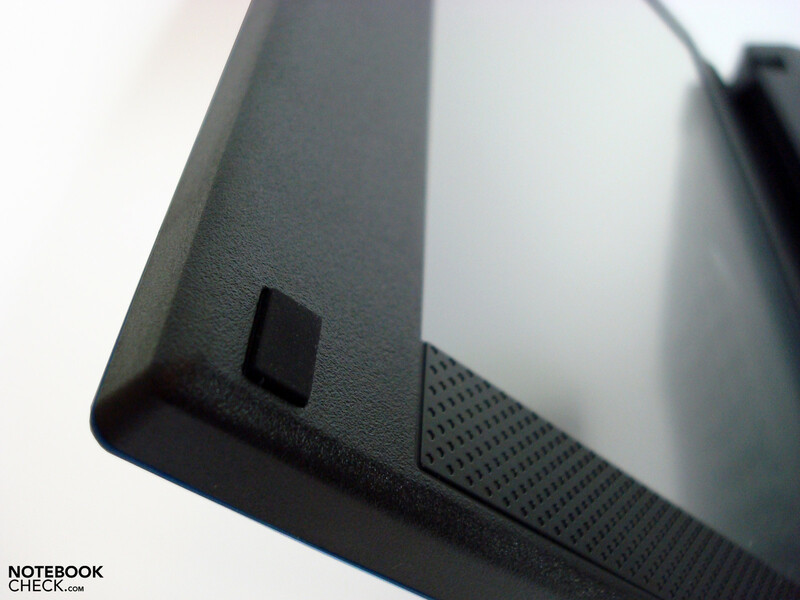 The small touch pad convinces with good sliding traits, a pleasant feel, and good responsive. It also offers some basic multi-touch functions, and a quite good mouse replacement. It is a pleasure to use the quiet touch pad buttons, which offer a short travel and a good sensitivity at medium effort. 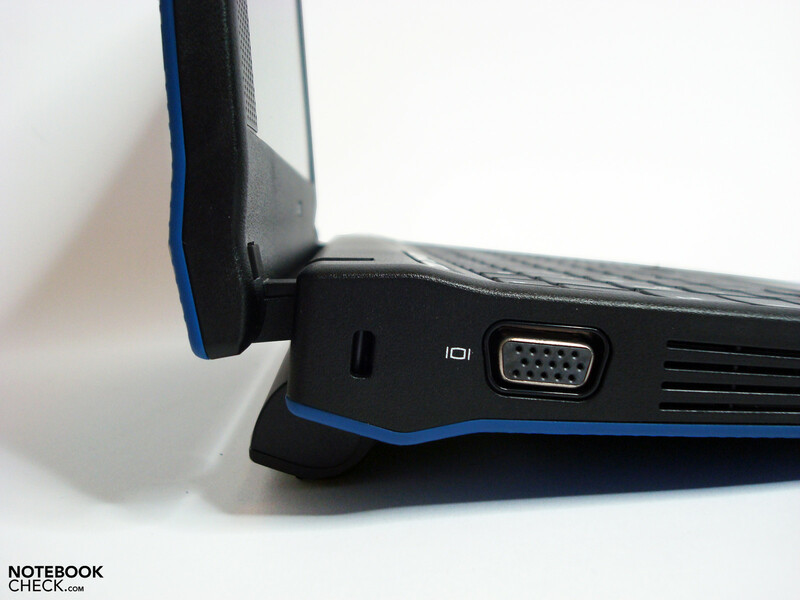 The Latitude 2100 can be ordered with a touch screen for a small surcharge of 15 to 20 Euros net (without or with a webcam). 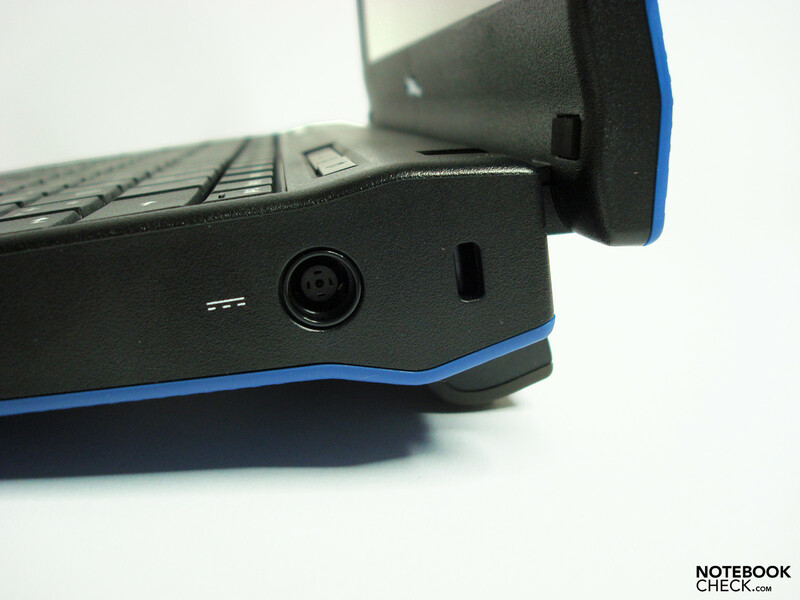 As already mentioned, our test model features a webcam and thus offers an additional input option. The touch sensitive surface of the screen comes with pleasant gliding traits and can be configured quickly and well via the installed calibration software. This gets especially apparent when using a stylus, which allows a very precise input. 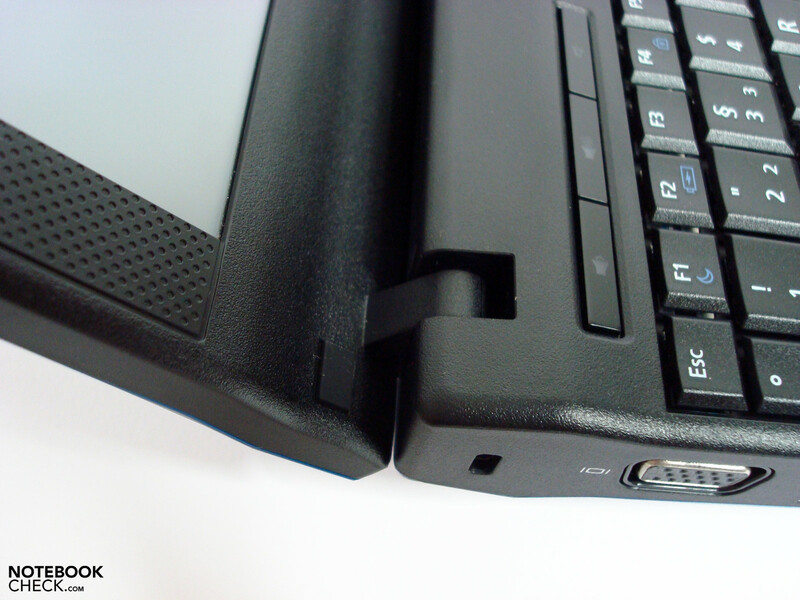 Because Dell does not offer a stylus, even not optionally, we used one of an HP 2710p Convertible for our tests. As an alternative you could also use a ballpoint pen with retracted tip. However, this is not recommendable, as this could have an negative impact on the surface, i.e. scratches or other damages in the long run. Edit 09/10/15/: According to Dell, a stylus is optionally available. If you work with your fingers, as designated, the flow of input suffers from the imprecise response to "finger clicks", and from quick loss of contact when moving files and folders. Multi-touch gestures were not recognized by the display, and neither was different intensity of pressure during input. This surface is thus not suited for more than sporadic basic tasks in our opinion. One the one side, this is due to the high pressure that has to be applied in order to receive a response for input. 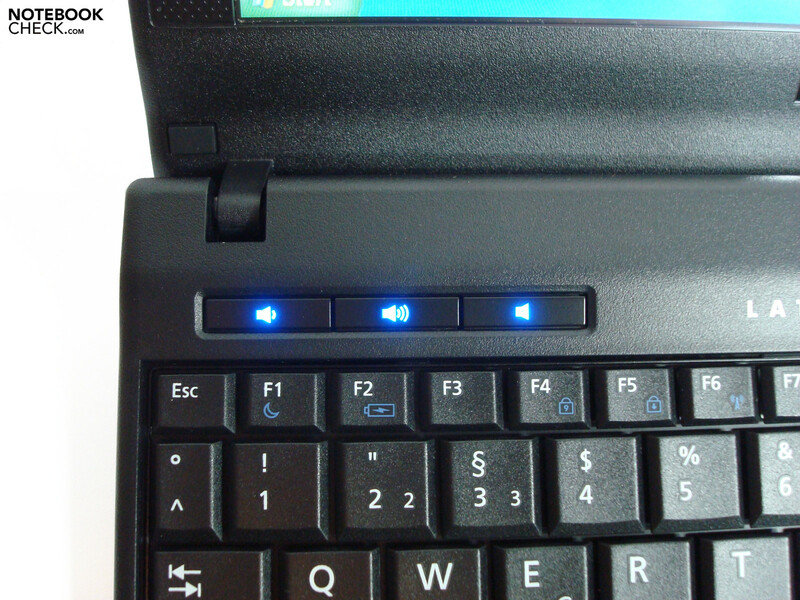 On the other side, the missing touch-optimized software (see "connectivity" as well) with large buttons and the netbook form factor (with the associated angle of input) do not help either. 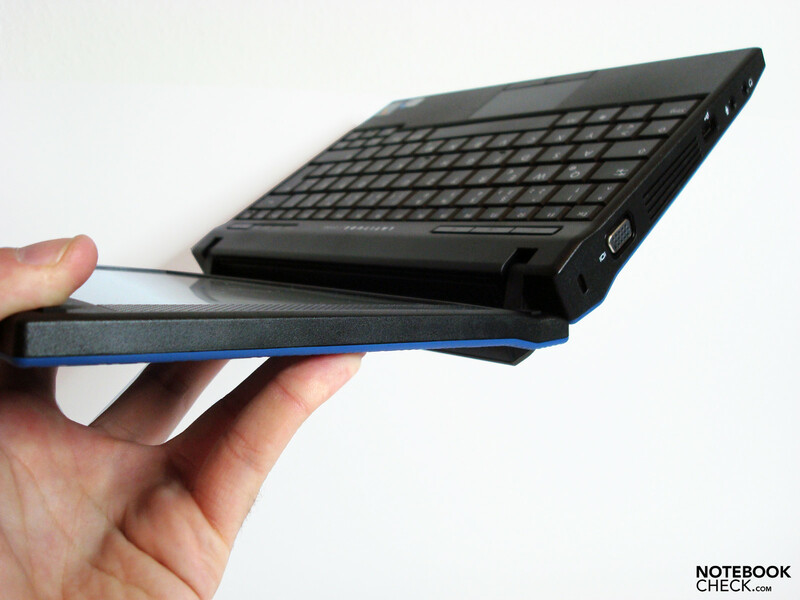 A foldable panel surface, as on Convertibles, would be more practice-oriented. 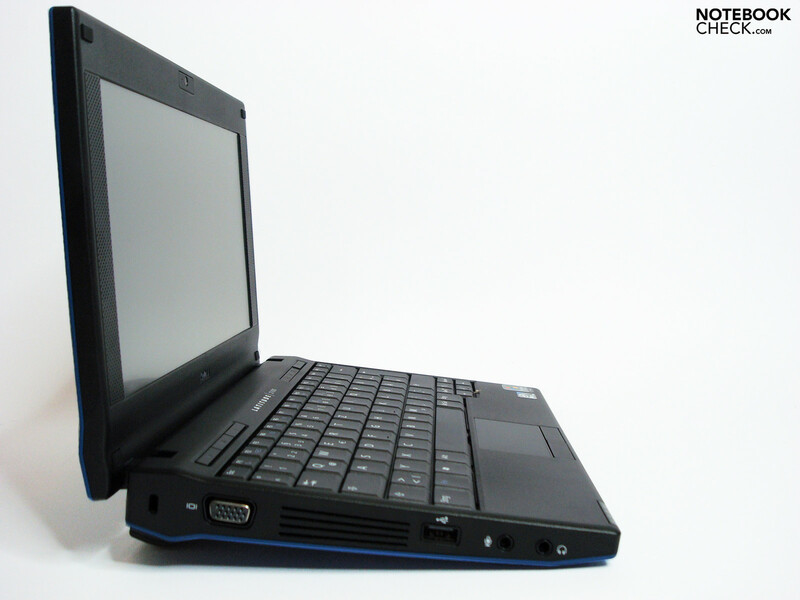 The Latitude 2100's display in the 10.1" format features a reduced WSVGA-resolution of 1024x576 pixels, which offers 24 lines less than usual vertically. The consequence is that websites have an even smaller area of display available, and can often display barely more than an article's headline. 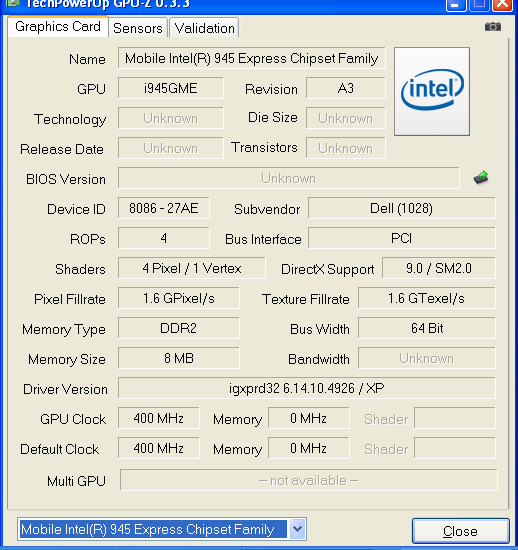 Due to 115 dpi, icons are sufficiently big, but, the available desktop is, typical netbook rather small and requires frequent scrolling. The touch sensitive display does have a reflecting surface, but it is less annoying than you might think. Because mirrored objects appear rather blurred, the screen comes better off than many a competitor. However, in bright interiors or outdoors it quickly it quickly comes to its limits. There its relatively weak back-light is not sufficient bright and cannot outshine the reflections. So, you can at best use this notebook in the shade. The display reaches a brightness of 159 cd/m² on average, which even rises up to 182.6 cd/m² at the lower edge of the screen. In turn, it decreases to a continuous value of below 150 cd/m² in the upper areas. This results in a barely good illumination of 78%. However, in practice the uneven brightness only gets apparent if uni-colored images are displayed, especially if they are qutie dark. The measured contrast value of 159:1 is on a level similar to that of many competitors. This is not outstanding and quickly becomes noticeable in darker movie scenes, where you search for real black in vain. In turn, the colors are displayed pretty balanced, and also relatively crispy an ideal viewing angle. However, its hard to adjust to such, as they stable range is rather narrow vertically. Especially in vertical direction color and brightness alternations appear at minimal changes of the opening angle. Depending on the incidence of light, the semi-matt surface, which cannot, as already mentioned above, completely prevent reflections, worsens this effect. The same is true horizontally, but the stable area is, especially in dim rooms, not that small here. In XGA resolution (1024x768) and in SXGA-resolution (1280x1024) the image via analog VGA-out was throughout good and sharp. Being equipped like a typical notebook the performance is alike its competitors. 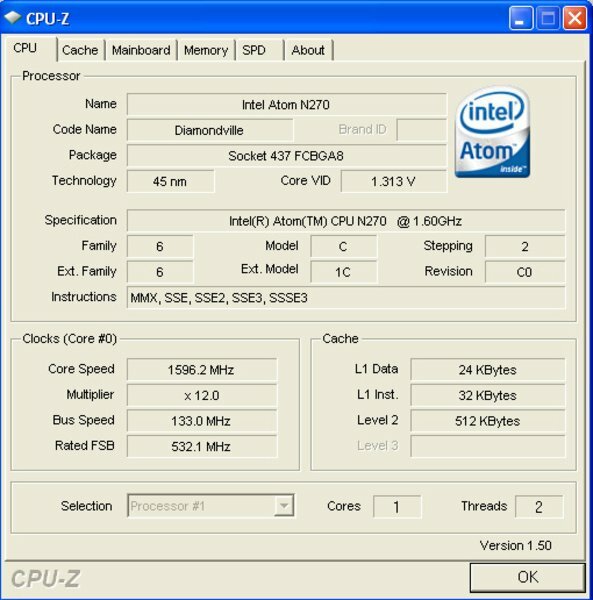 Dell use the renowned Intel Atom N270 single core CPU, which works at a clock rate of 1.6 GHz and is capable of hyper-threading. Hyper-threading allows a kind of parallel execution of tasks, and, so, qualifies the disadvantage of a single core. An integrated GMA 950 graphics solution is responsible for video output. It can most of what the target group might demand. Since it does not have its own video memory at its disposal, the GMA 950 uses a portion of the 1 GB system memory for video output. The hard drive by Western digital offers 160 GB capacity for programs and data. So, it will take quite a while until pupils can use the excuse: "There was no space left for my homework". 107 points in 3D Mark 06 show that 3D-heavy applications are almost impossible, as usual. 1586 points in 3D Mark 05 confirm the subjective impression in regard to the application performance, and attest the system has enough power for basic office tasks. Browser, text processing, simple chart calculations, and database projects are possible without any problems, even while listening to MP3 music files at the same time. Basically because of the low RAM capacity and the low resolution, image editing is only recommendable to a very limited extent. Basic tasks, such as red-eye reduction, automatic image improvement filters, and archiving are possible without problems though. Movies (not Full-HD), e.g., such bought from iTunes or such converted to H.264, can be played fluently. But, full HD videos juddered too much and image and sound errors occur. iTunes converted our MP3 test songs with 4.9x speed to the AAC-format. 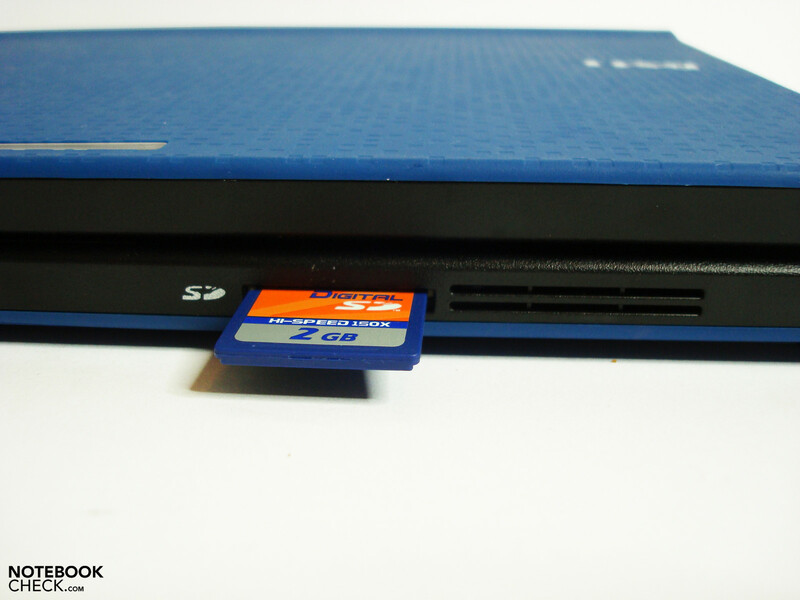 The transfer rates of the interfaces are standard: 24.7 MB/s via USB and 17.8 (SD card) / 18.2 (SD-HC) MB/s via card reader. 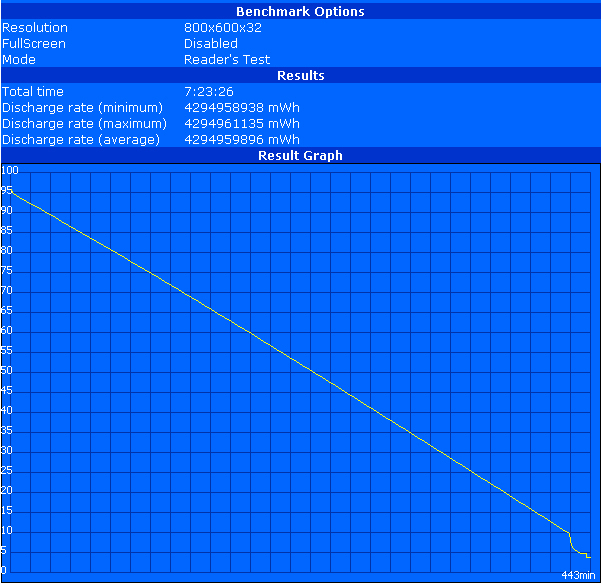 The hard disk (Western Digital WD1600 BEVT) achieved good values with an average of 50.7 MB/s as well. 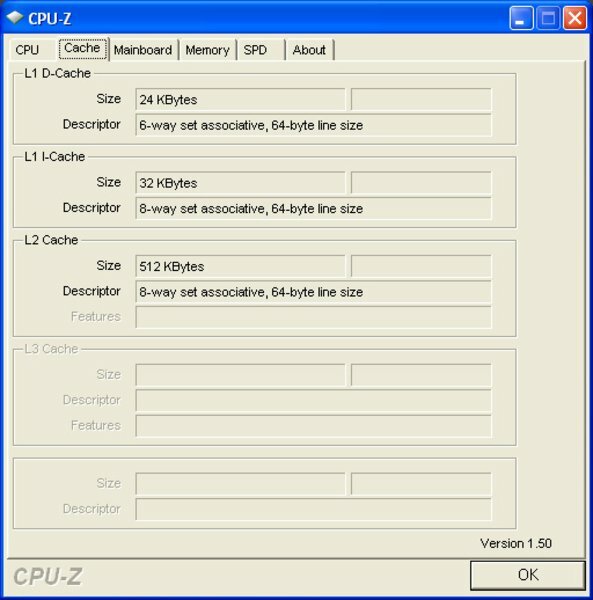 We also tested the latencies under Windows XP, using the tool DPC Latency Checker. Partly, very high amplitudes over the mark of 1600 µs were observed here. 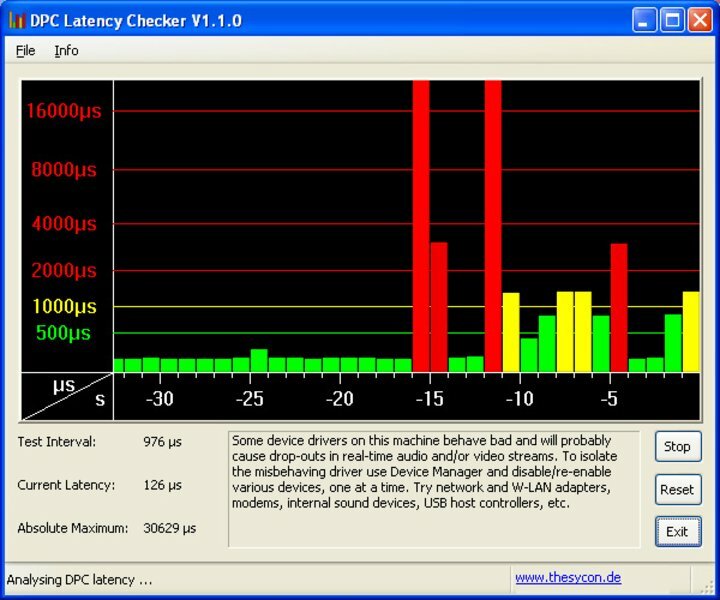 This can lead to synchronization errors during the use of external periphery, such as sound cards. However, these latencies could be reduced in the future by better implemented or more current driver versions. Overall, the Latitude 2100 proves to be a rather quiet companion, whose noise level never exceeds 32.9 dB(A). 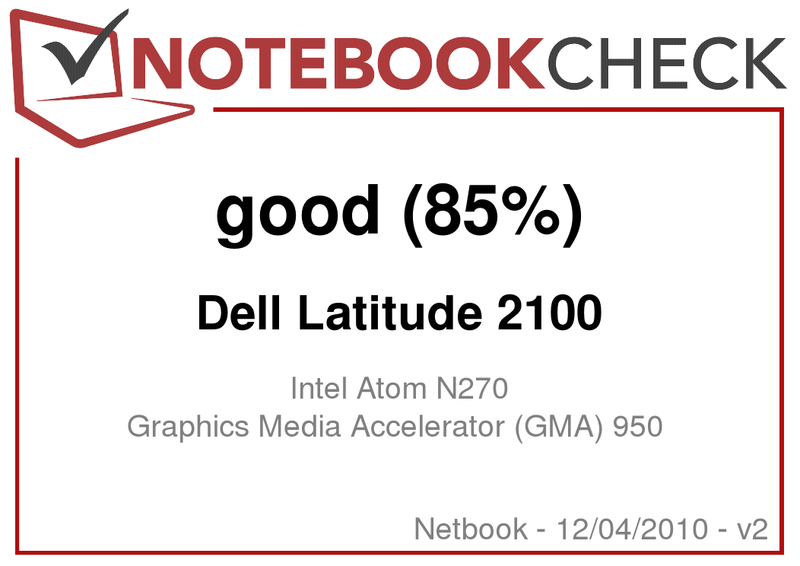 Only in idle mode, the notebook falls with 29.6 dB(A) almost silent. But, also here, the fan interrupts the silence every now and then and raises the noise to 32.9 dB(A). Still, we felt that the noise is balanced and does not change to much. 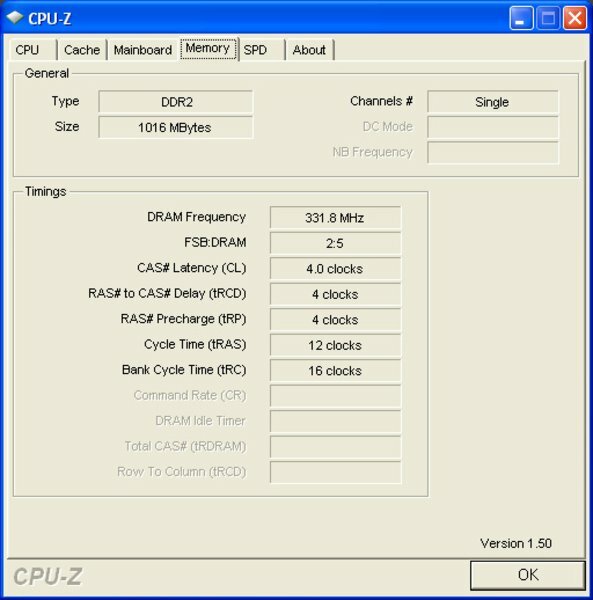 The hard disk is even more silent (31.2 dB(A)). Nevertheless, you'll notice the typical hard disk rattling. Despite bulky case it reaches up to 42.3°C under load. This is not yet an unpleasant value and will barely be of any importance in most application scenarios. At the keyboard we measured a maximum of 37.7°C, which felt "warm to the touch". At energy-saving settings, the temperature decreased by 3°C to 6°C. (±) The average temperature for the upper side under maximal load is 35.6 °C / 96 F, compared to the average of 29.8 °C / 86 F for the devices in the class Netbook. (+) The maximum temperature on the upper side is 37.7 °C / 100 F, compared to the average of 33 °C / 91 F, ranging from 21.6 to 53.2 °C for the class Netbook. 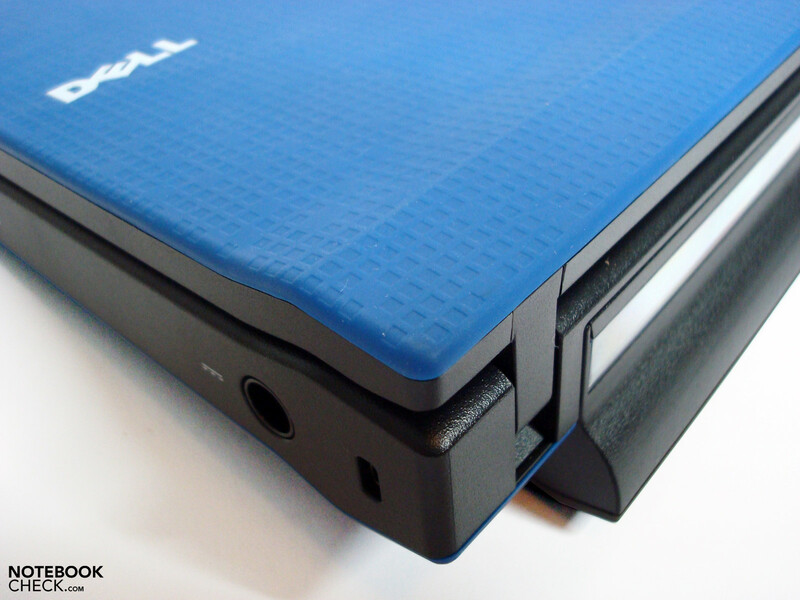 (+) The palmrests and touchpad are reaching skin temperature as a maximum (35.8 °C / 96.4 F) and are therefore not hot. (-) The average temperature of the palmrest area of similar devices was 29.3 °C / 84.7 F (-6.5 °C / -11.7 F). The loudspeakers, in the display's sides, sound barely balanced, treble- and middle-prone with weak bass. But, they are sufficient for use in schools. The loudspeakers, attached to the display's sides, sound flat and little balanced, they are very prone to treble and medium notes, and barely delivered any bass. The performance is definitely suited for usage in schools though. At maximum volume the sound slightly blurs. Furthermore, the volume can be easily controlled by separate buttons. As long as the classroom is small and the students are quiet, the maximum volume should suffice. 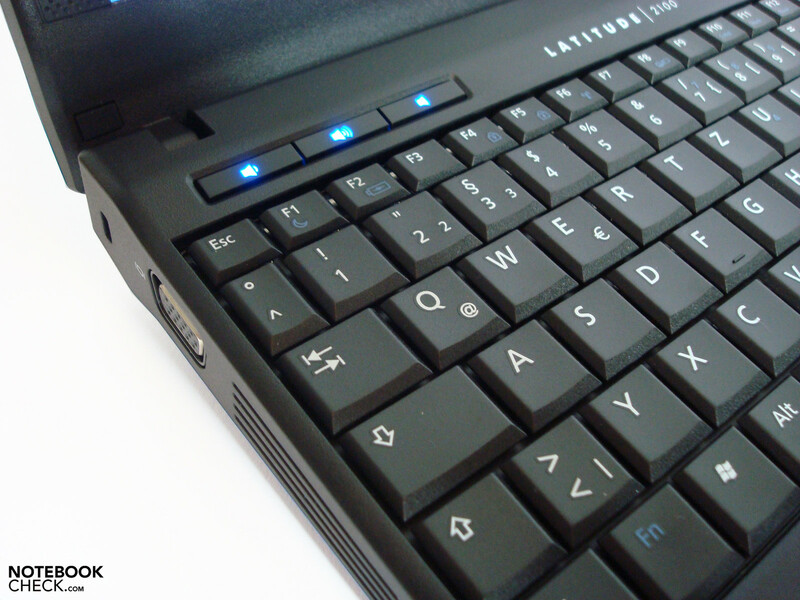 Regarding power consumption the Latitude 2100 shows typical netbook, i.e, a minimum of 8.4 Watt at maximal energy-savings settings, and a maximum of up to 18.2 Watt under full load. 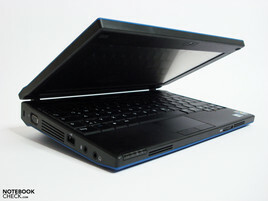 Competitors like the Eee PC 1008HA or the MSI Wind U115 Hybrid Netbook do far better here. 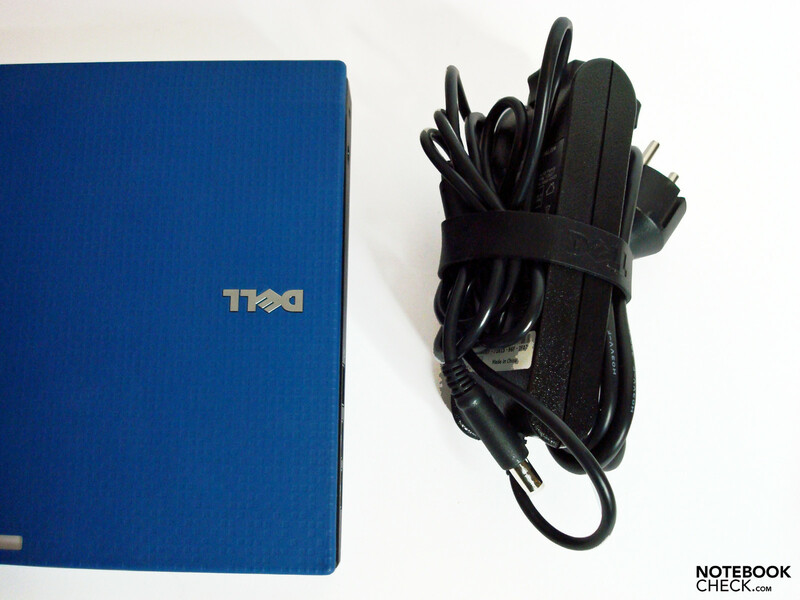 Nevertheless, this Dell notebook rates very good in practice, because it comes with a capacious 57 Wh battery. In the Battery Eater Readers Test (maximum reachable battery life with maximum energy-saver settings) it achieved a runtime of 443 minutes. Browsing the Internet via Ethernet connection (WLAN did not work) with maximum brightness the battery was empty after 331 minutes, a good result. Movies from hard disk could be enjoyed for 269 minutes on battery. 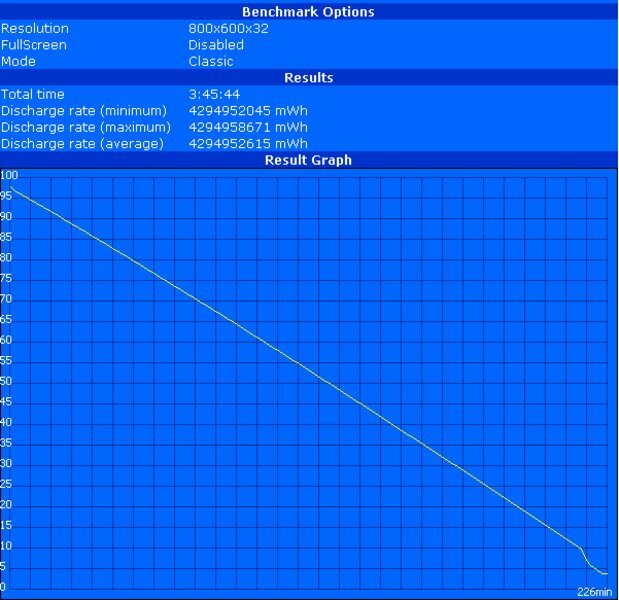 In the Battery Eater Classic test, which simulates full load and represents the minimum battery life, the test model performed an automatic system shut down after 226. Overall, the protruding battery helps reaching a comfortable battery life and allows to work unplugged for a reasonable time. The 28 Wh 3-cell battery has about half the capacity and will therefore cut the battery life about in half. 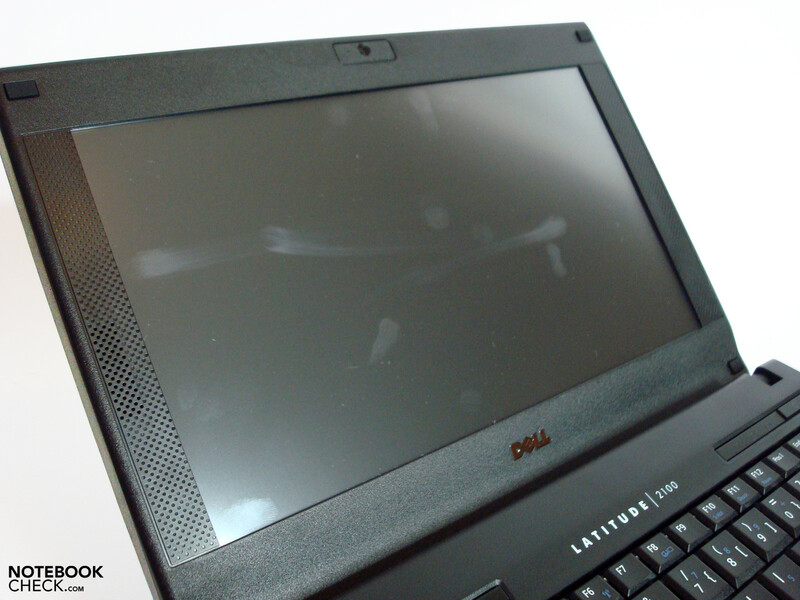 The Dell Latitude 2100 is consistently trimmed for schools and major customers. The robust case, the numerous options for support, warranty, and equipment should especially appeal to the target group and allow a number of possibilities barely offered by others. In detail, one would desire a compatible software and a stylus in order to mobilize the total resources of the touch sensitive screen. Also otherwise the display could be improved. In particular it could be brighter, more contrast-rich, and offer a better viewing angle stability. The keyboard is good. And so is the touch pad, which could be a bit bigger. In general the inner components are alright, but upgrading is difficult. Considering the target group this might probably be reasonable. The strong hinges limit the opening angle. The interfaces in the front area might light to restrictions caused by attached cables. ... and on the left. But, the target group is also very different. It is especially designed for schools. The rubber-like surface should stand the one or other mishap. The card reader is on the front side. The good base configuration and the numerous options. A smarter support of the touch screen. That Dell even in this class offers that many configuration, warranty, and support options. You should take a look at the Asus EeePC T91, the Gigabyte Touchnote T1028x, the Wortmann Terra Mobile Edu III, and the Unimall Classmate, which all come with a touch display.